Torchlight at Mitten Butes - Together, We Make Memories! 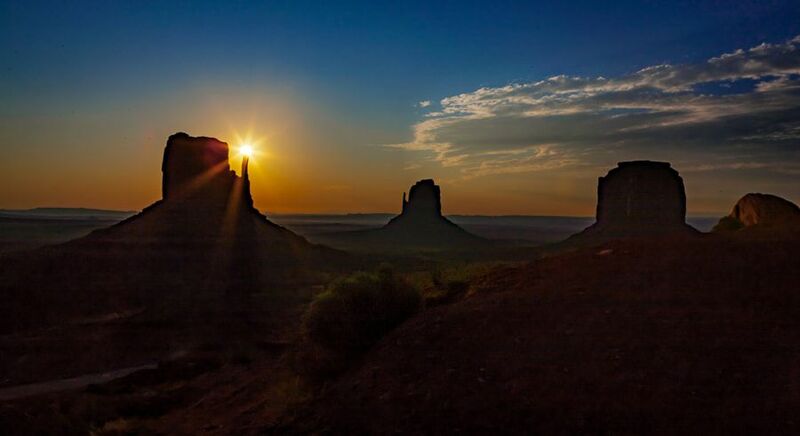 The sun sits precariously on the tip of one of the mittens just after sunrise in Monument Valley Navajo Tribal Park in Arizona. The Mittens, along with Merrick’s Butte, also pictured here, have been used in dozens of Hollywood movies, and have become synonymous with the West for millions of both Americans, and visitors the world over. This fine art image by Pat Kofahl is available in multiple sizes on paper, canvas, metal and plexiglass. Prices start at $49.00!